Phase 1 Evaluation: This phase results from an approach by a individual or individuals who have an aspiration to start their own business based on their own idea, dream, interest or hobby. During this phase an evaluation with the individual/s is carried out to ascertain their skills based on the trilogy for business success i.e. 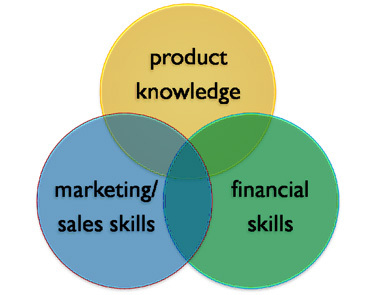 Product/Service Knowledge, Marketing/Sales Skills and/or Financial Skills. By process of elimination there is an agreement reached on those skill/s that are weak or lacking. Phase 2 Consolidation: During this phase the participant is matched with appropriate Mentor/s to fill the skills gap identified in Phase 1. Together they develop the concept of the participant which may include a full business plan and financials. The purpose being to give the participant sufficient information to make the decision to proceed or not with the business. Phase 3 Startup: If it is decided to proceed with the business then support from the Mentor/s continues for up to 12 months to assist in that first crucial year of business. The Mentor Program: This fundamental element of the Startup Business Development Program is the key to the long term success of the programs objectives. It is only through the recruitment, training and appropriate matching of Mentors to Participants that the program can offer hope for the long term success of startup businesses. Those with experience and skills in Business are encouraged to volunteer to join the program and assist aspiring business owners. Agree to pay $47, including GST, per month while they are on the Program to help offset the costs of providing the Program.